Today is the day. Championship day. 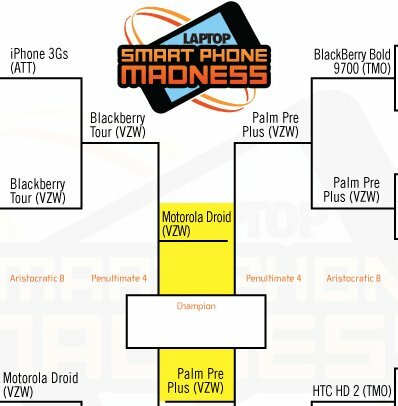 This is the time that all Motorola Droid users from around the globe come together to take down the March Smartphone Madness challenge. Droid Lifers have already dominated both the Hero and the Tour, so let’s finish out strong and take down an opponent that most are surprised to see in the chip. And just to warn you ahead of time, the Pre Plus has taken out some pretty major opponents and is somehow off to a giant lead this morning. We’ve got some work to do today! And seriously, people own Palm Pres? Vote here and head over to Laptop Mag to follow all the results! 2.1 Updates Rolling in from Everywhere!